Thatch is usually of long straw, combed wheat reed or water reed, depending on the regional building tradition (but over the years alternatives have included heather, rushes and even wood chips and potato stems). 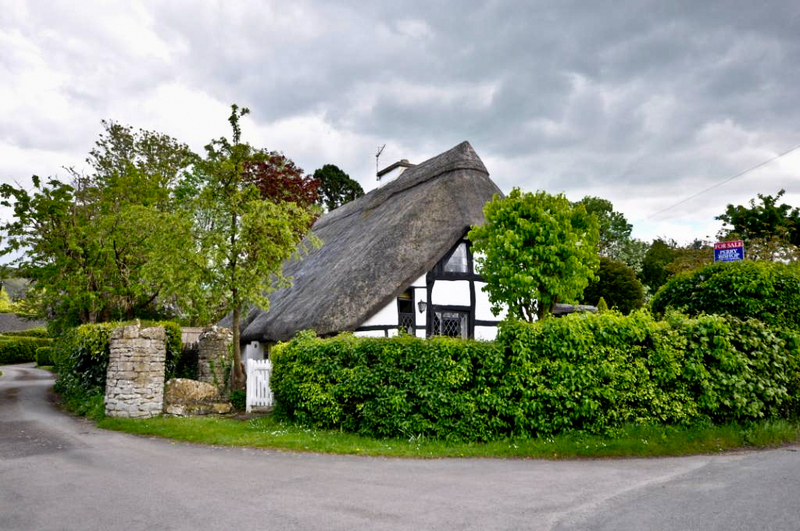 In the Cotswolds, most thatched roofs are of the wheat reed variety. 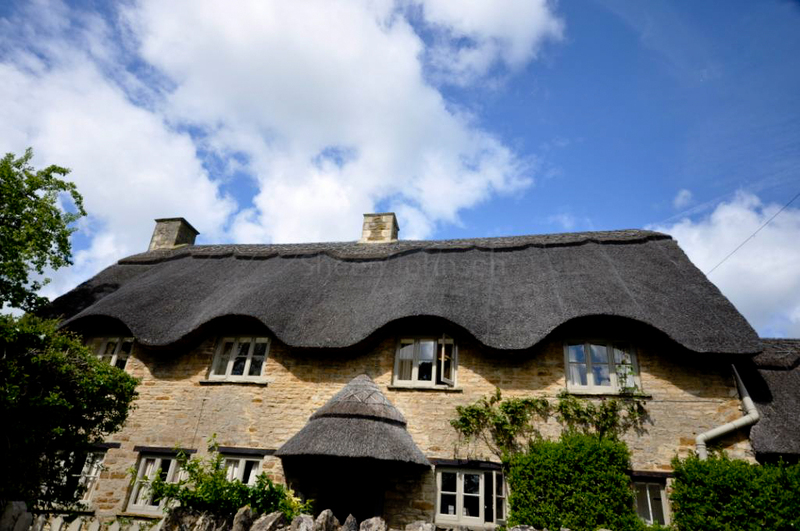 The material demands a high degree of craftsmanship and, when planning to repair or re-thatch your roof, the advice of a local thatcher of proven ability is essential. Thatched homes generally stay warm in the winter and cool in the summer, and thatch also reduces external noise. They also retain their value, often better than more conventional dwellings, and if you are prepared to give it the care and attention it needs, it will never lose its old world rustic beauty. The first photo was taken near Kingham and the next one somewhere near Broadway.